A new year is here, and new challenges are waiting. Planning and preparing has occupied my mind and doings during the last couple of months, as new and unknown directions are waiting for both me and my son soon. It will not be easy for any of us, but necessary. Hopefully we will be able to see 2019 as a fun, exciting and developing year of adventures… to share with you! 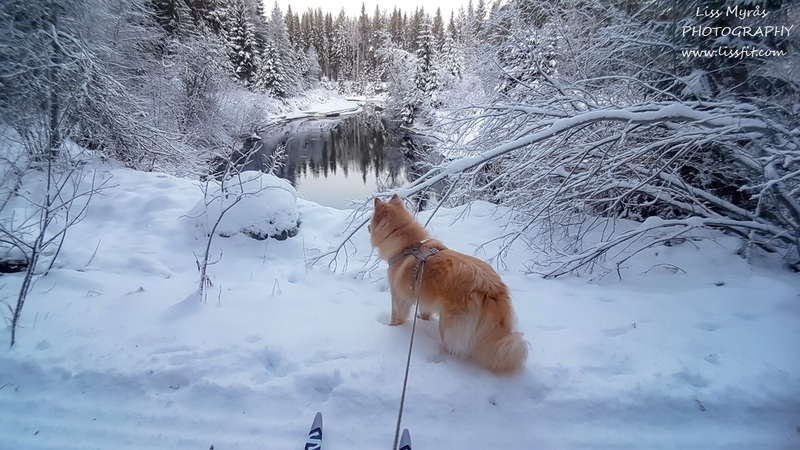 Now, I just wanted to make a quick post to say I’m still here and to wish you all a Happy New Year – and show some photos of what me and puppy are doing outdoors these lovely winter days. We really enjoyed a cosy, calm and white Christmas – with a Christmas mix dinner of Norwegian and Swedish traditional food on the table. 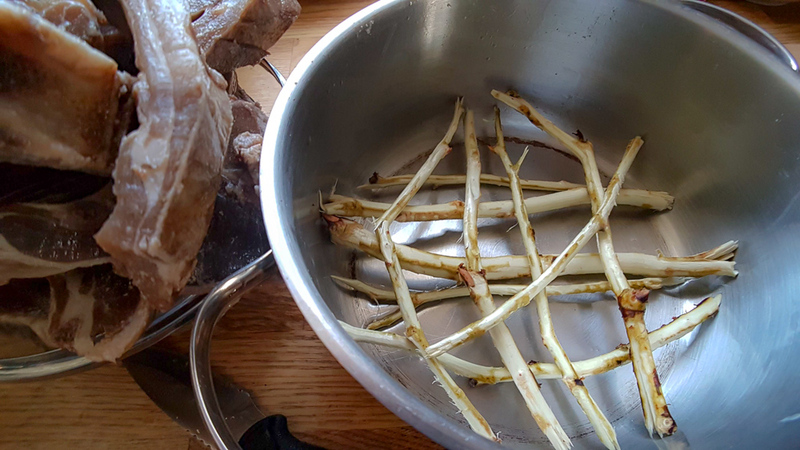 My mom sent me some local Norwegian pinnekjøtt, so I first had to soak it for 24 hours, git’out in the forest to cut down and prepare some birch sticks to steam the meat for 4 hours on – a lot of work, but oh my so T-A-S-T-Y! 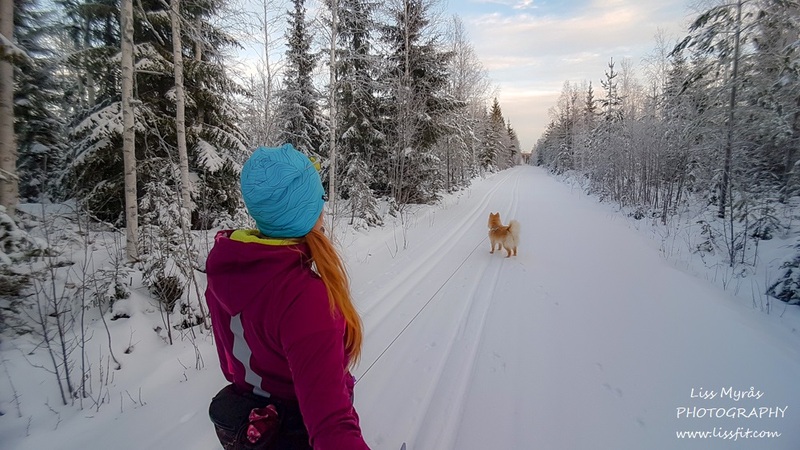 And we are of course enjoying cross-country skiing as often as possible as long as there are a fairly cover of snow on the ski tracks. Not so much snow here this year as last winter.. The favourite place of view along our local ski track.. I read about pinnekjøtt on Wikipedia. It sounds delicious! On Christmas Eve, we eat tourtière, a French-Canadian meat pie. Happy New Year to you and your son!